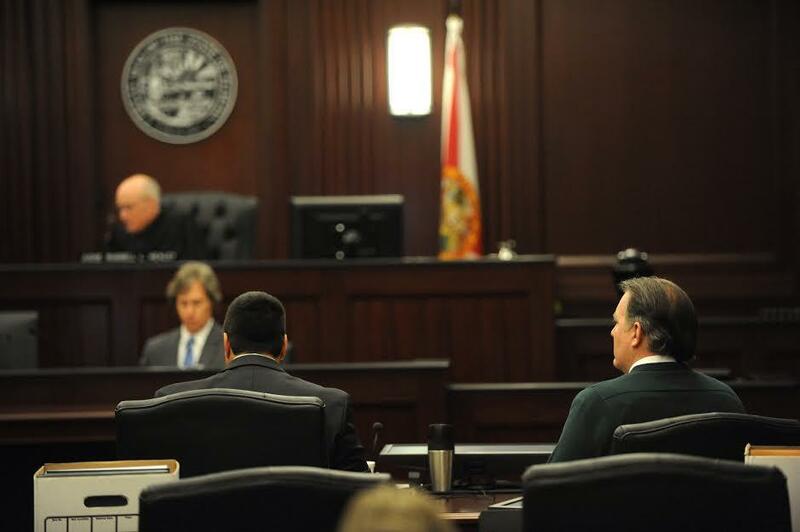 The trial of Brevard County man Michael Dunn opened with high emotion and choice words as eyes around the country watched. 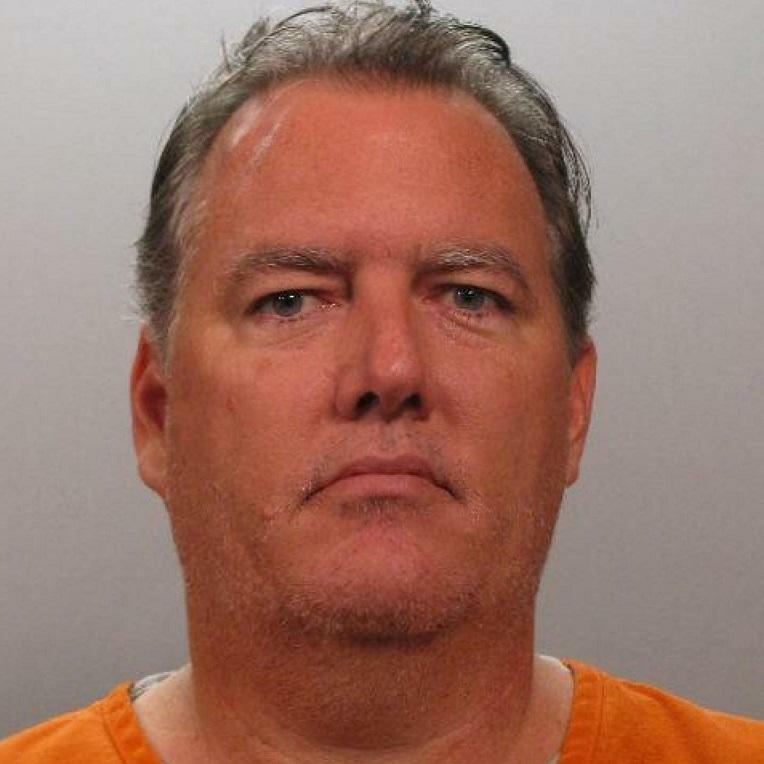 Michael Dunn (right) is charged with murder in the death of 17-year-old Jordan Davis. "You're the instant replay," Dunn's attorney Corey Strolla told the 12-member jury shortly after noon. "For Michael Dunn, you're all he has." Dunn, 47, faces first-degree murder in the November 2012 death of 17-year-old Jordan Davis. Dunn is accused of fatally shooting the teen following a confrontation over loud music. Throughout the day which ended shortly after 5 p.m., the jurors listened to the blasts of gun shots on surveillance tape, the 911 calls that followed and the testimony of seven witnesses, as Strolla and the State Attorney's Office began to weave their cases. Painting a picture of an unarmed teen on an innocent night out with friends, Assistant John Guy told jurors Dunn shot Davis because he felt disrespected after an argument over music coming from the teens' car. "They exchanged F-bombs back and forth...The defendant rolled down his window again and said 'Are you talking to me? '," he said. "And Jordan Davis looked at him and said 'Yeah, I'm talking to you.' And then, the defendant said 'You're not going to talk to me like that,' and in the same motion, he reached in his glove box. He grabbed his pistol." In a dramatic and uncensored monologue, Strolla drew up a different scenario: A teen ready to fight and kill and a man justified in defending himself. “You’re dead, b---,” Strolla quoted Davis as saying, among other expletives. Dunn had no intention of shooting anyone that night, Strolla said. Strolla also went on to suggest that the investigation into the case was rife with flaws and inconsistencies, including a failure to properly secure the crime scene. "Nobody in law enforcement cared what (Dunn) had to say," he said. "Nobody in law enforcement wanted to here what he wanted to say. They just wanted to give you their own version of what happened." Among the seven called to the stand Thursday were local contractor Steven Smith, who witnessed the incident unfold at the Southside Gate gas station while getting a fountain drink; gas station employees Lillian Chrestensen and Mariah Grimes; and Andrew Williams who arrived after the shooting with his wife and two teens they were chaperoning. Williams attempted to save Davis with CPR. During testimony, Williams appeared to choke up while recounting the scene. Davis' friends looked "shook up," he said. "They were all crying," he said. Smith along with witness Shawn Atkins demonstrated for the jury how they saw Dunn hold the gun during the exchange that November night. Atkins, who was homeless at the time living in a car in a Winn-Dixie parking lot nearby, showed up to court in a jump suit and chains. He'd been convicted and sentenced to seven years for stealing and selling gold following the gas station shooting. During Thursday's hearing, questions arose as to whether Atkins agreed to give his testimony in exchange for leniency from the state. While on the stand, he said he had requested leniency but did not receive it. State Attorney Angela Corey, who questioned Atkins, noted that Strolla was informed by her office of the request. Davis' former girlfriend Aaliyah Harris was the first witness to take the stand at the trial. Davis had come to visit her at her job at Urban Outfitters hours before his death, she said. In the audience, Davis' parents Ron Davis and Lucia McBath appeared relatively stoic, as did Dunn. However, Davis appeared emotional during Assistant State Attorney Guy's opening statements. About 25 media outlets and roughly 40 members of the public were in the courtroom. While outside, a handful of additional media and protesters were outside of courthouse. Among the protesters were representatives from the New Black Panther Party and the Southern Christian Leadership Conference. Judge Russell Healey said the trial would resume 9 a.m. Friday. The teens with Davis the night he died--Leland Brunson, Tommie Stornes, and Tevin Thompson--are expected to testify Friday. You can follow Rhema Thompson on Twitter @RhemaThompson. Monday marked the beginning of what will likely be a lengthy and closely-watched murder trial. The spotlight is shining on Jacksonville this morning as jury selection begins in a high-profile murder trial.